K-Grand Hotel &amp; Guest House Seoul is conveniently located in the popular Jung-gu area. The hotel offers a high standard of service and amenities to suit the individual needs of all travelers. Take advantage of the hotel's free Wi-Fi in all rooms, daily housekeeping, express check-in/check-out, luggage storage, Wi-Fi in public areas. Television LCD/plasma screen, additional toilet, mirror, towels, internet access – wireless can be found in selected guestrooms. The hotel offers various recreational opportunities. 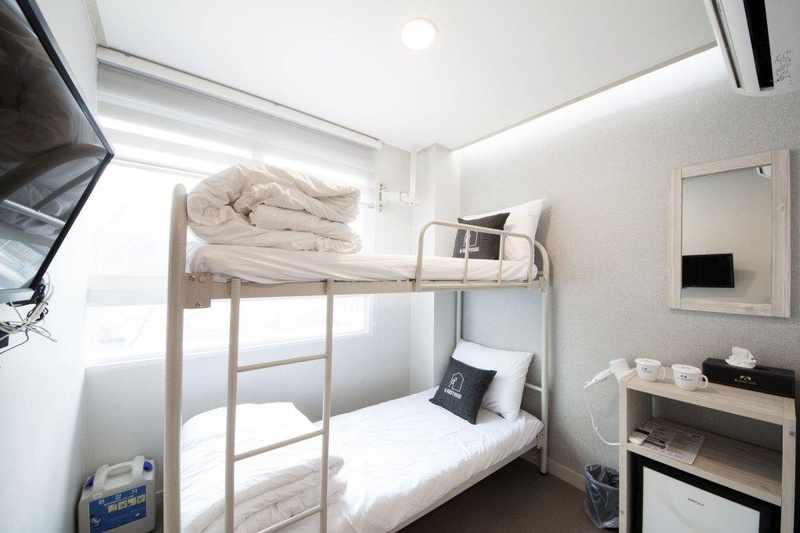 No matter what your reasons are for visiting Seoul, K-Grand Hotel &amp; Guest House Seoul will make you feel instantly at home. Close to Lotte Mall. Close to subway station. Close to Seoul train station. Excellent staff. Excellent check-in. Friendly front desk. Available for breakfast. Breakfast was provided. Breakfast is provided. Don't have restroom. Tiny refrigerator. Thin wall. Dirty sheets. Filthy stairwell. Room to be cleaned. Building looks old. No lift access. Tiny public kitchen.